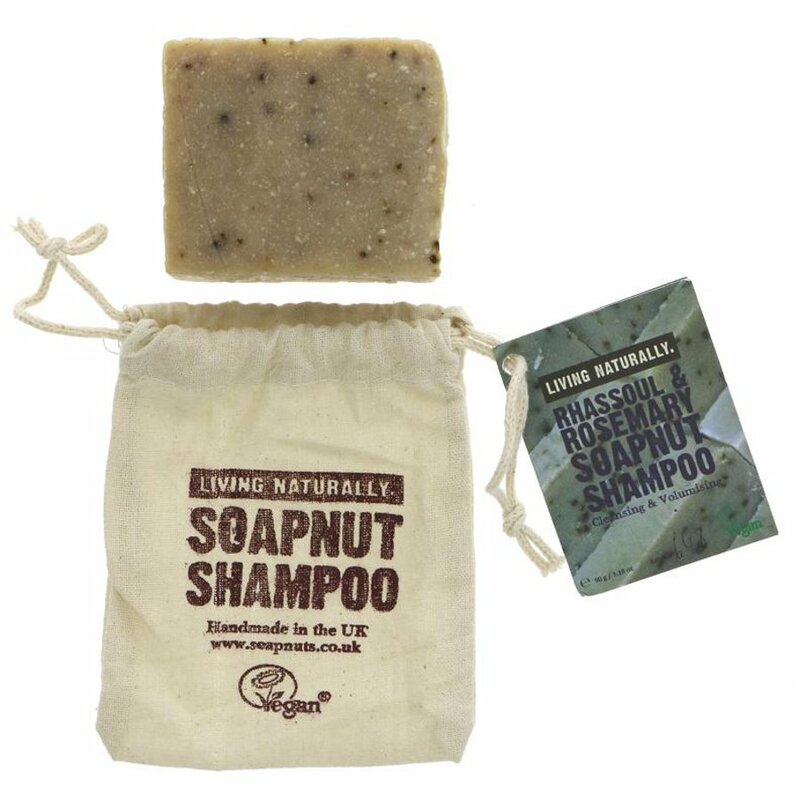 A natural solid shampoo bar handmade in the UK using organic ingredients. It is made with a unique blend of rhassoul clay and rosemary to exfoliate and cleanse, fighting dandruff and nourishing your hair without and harsh ingredients. 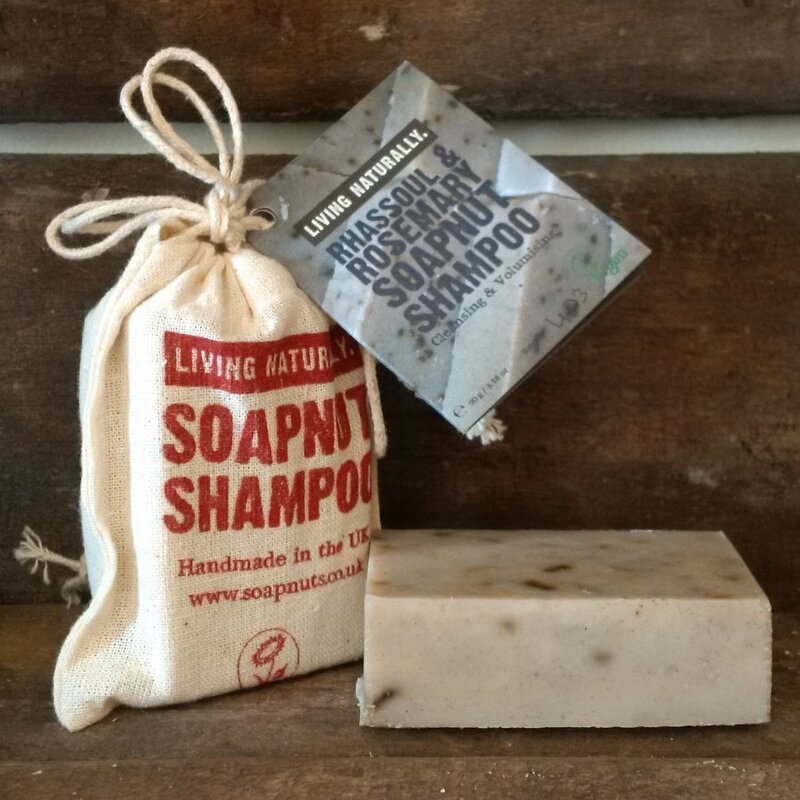 The cruelty free and vegan artisan made solid shampoo bar is a zero waste alternative for your daily routine, suitable for hair, face, body and hands. Rhassoul clay is a natural clay mined in the Atlas mountains of North Africa, as it has been since the 8th century. It is rich in minerals and natural cleansing agents to clean and care for your hair, exfoliating dead skin as well as balancing sebum secretion to fight dandruff. Rhassoul clay helps to leave you hair soft, silky and manageable. Rosemary is used to stimulate hair growth and delay greying. It can help to stimulate blood circulation in the scalp and has anti-inflammatory properties that make it an excellent ingredient for nourishing the hair follicles and soothing the scalp. It is known to thicken hair and add shine. Suitable for all hair and skin types. Great for dry or itchy hair and skin. Organic cocos nucifera (coconut) oil, organic olea europaea (olive) oil, organic prunus dulcis (almond) oil, organic butyrospermum parkii (shea) butter, organic prunus armeniaca (apricot kernel) oil, sodium hydroxide*, organic sapindus mukurossi (soapnut) extract, organic cocos nucifera (coconut) extract, moroccan lava clay (rhassoul), rosmarinus officinalis (rosemary) leaf, lavandula angustifolia (lavender) oil, rosmarinus officinalis (rosemary) leaf oil, thuja orientalis (cedarwood) leaf oil, cupressus sempervirens (cypress) oil, linalool**, limonene**, geraniol**. 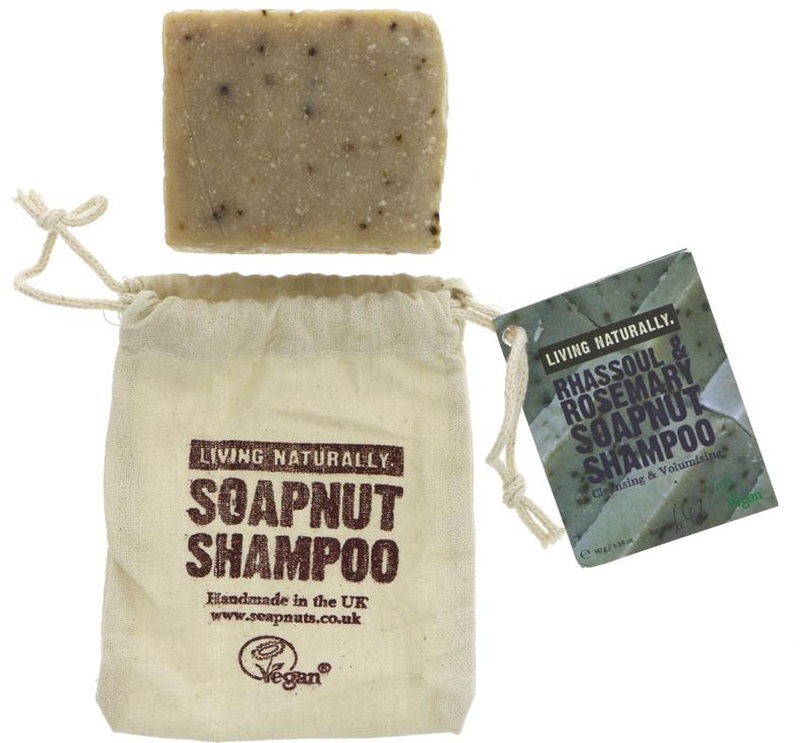 There are currently no questions to display about Living Naturally Rhassoul & Rosemary Shampoo Bar - 90g.